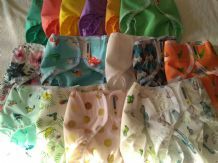 Excellent quality waterproof, breathable wraps from Motherease. Popper ("Airflow") or Velcro ("Rikki") fastening. 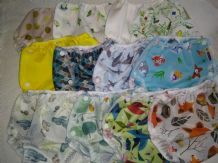 These wraps work over all nappy brands and are extremely leak-proof. Extra small, Small, Medium, Large and Extra large. Made in Canada.